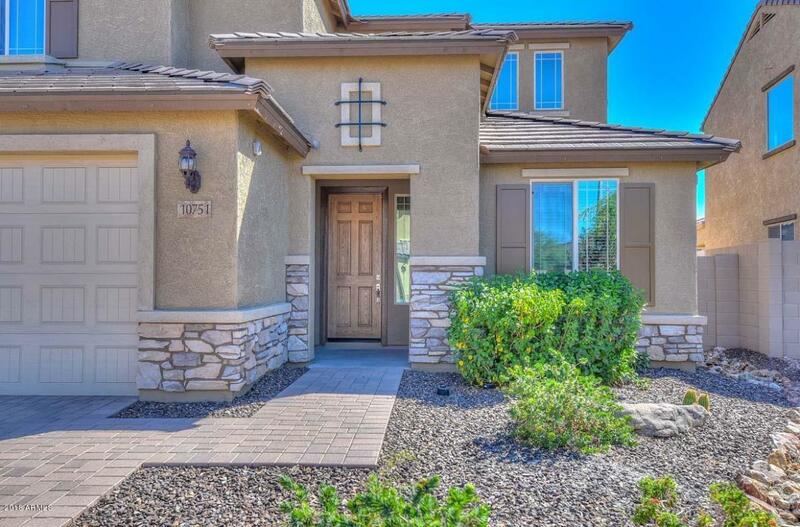 You won't want to miss this Gorgeous Desert Oasis captured in the Mountains of Peoria; just moments away from the beautiful Lake Pleasant! This open split-plan 5 bedroom, 4.5 bath features a private office off the entry with double doors for privacy; and a spacious Guest Suite to accommodate family and friends. The Master Suite features a granite counter-top vanity with dual sinks; beautifully tiled flooring with fully tiled walk-in shower including both rain-down/regular shower heads and a built in sitting bench for comfort. The kitchen is loaded with upgrades; stainless steel appliances, granite counter tops, custom espresso cabinetry, a walk-in pantry, and breakfast island bar complete with pendant lighting. 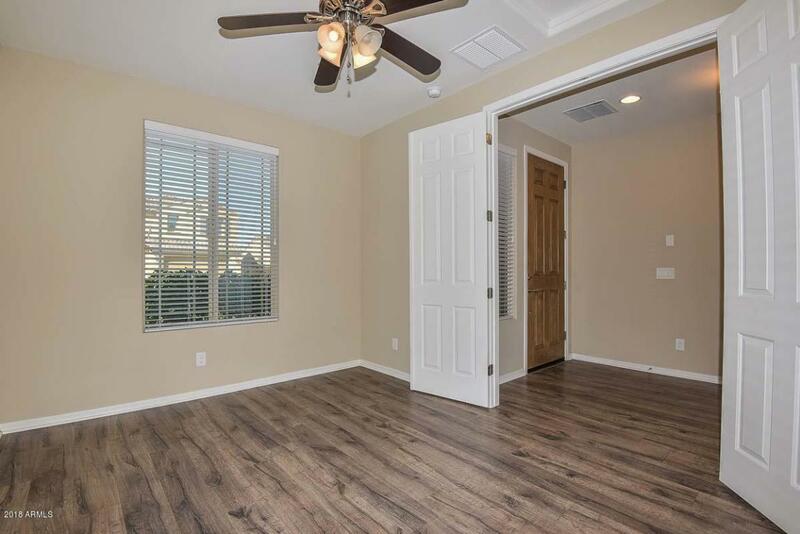 The sliding glass door off the dining room exits onto a covered patioExtended with custom pavers for additional area, beautiful queen palms; and lush green real grass-like turf for easy maintenance; and surrounded with soft lighting for evening pleasure. 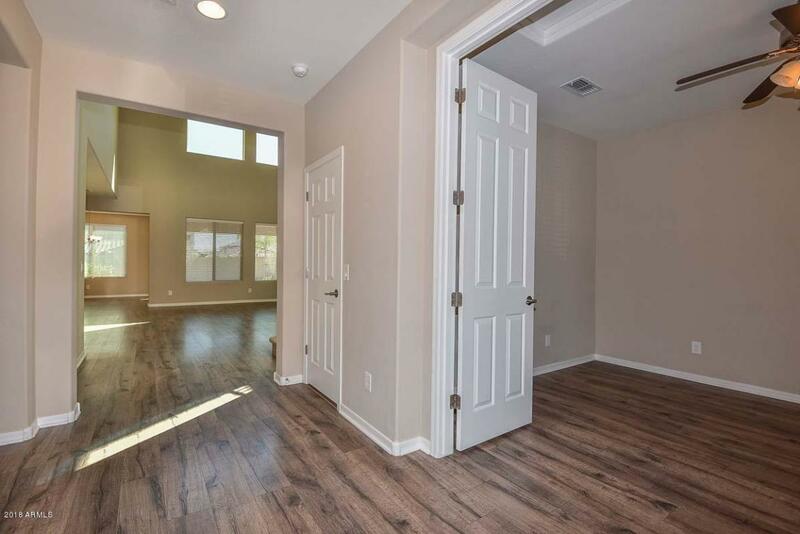 Additional features are a 3-car garage; alarm system; large walk-in closets; beautiful picture windows; and laminate wood flooring. 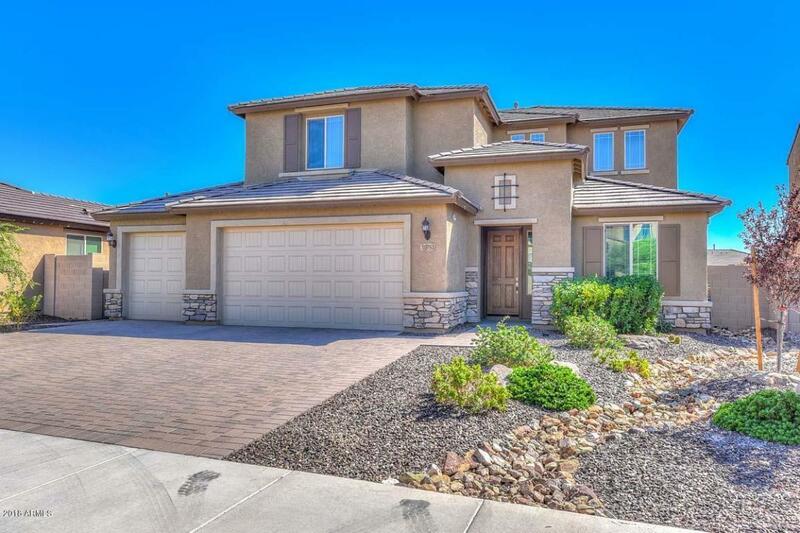 Make this stunning home yours! Move-in ready!